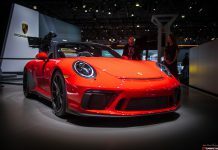 Following hot off the heals of the 77 limited edition Porsche 935’s announced a few months ago, Porsche have used the LA Auto Show 2018 to pull the covers off another limited edition; this one is named the Porsche GT2 RS Clubsport. 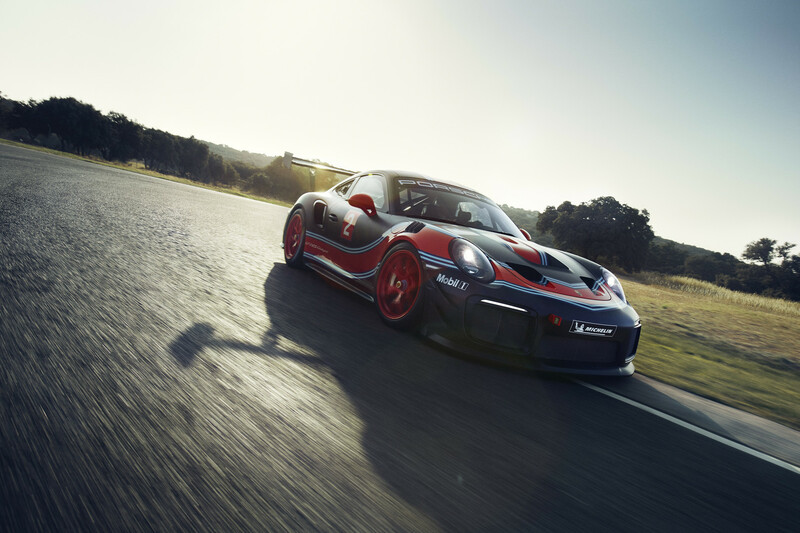 Similar in concept to the 935, the final version of the Porsche 991 generation will be a track-only special edition. 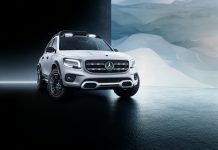 Just 200 will be offered for sale with exclusive events planned so that customers can make full use of them. 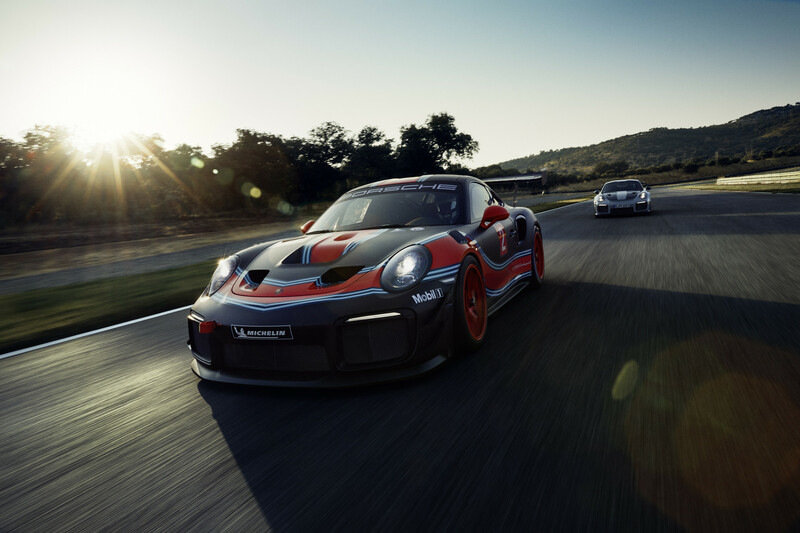 Like the 935, the GT 2 RS Clubsport uses a 3.8-litre six-cylinder twin-turbo engine, virtually identical to the road-going model. 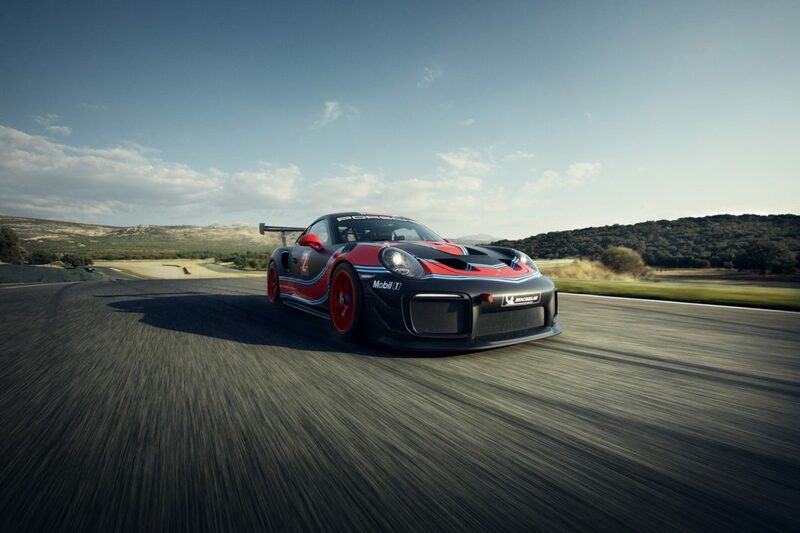 Power is rated at 700 hp, routed to the rear wheels through a seven-speed PDK gearbox. 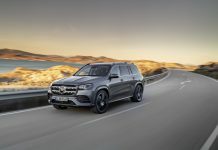 It comes equipped with PSM (Porsche Stability Management) including traction control as well as an anti-lock braking system (ABS). All three car be adjusted by switches in the cockpit. 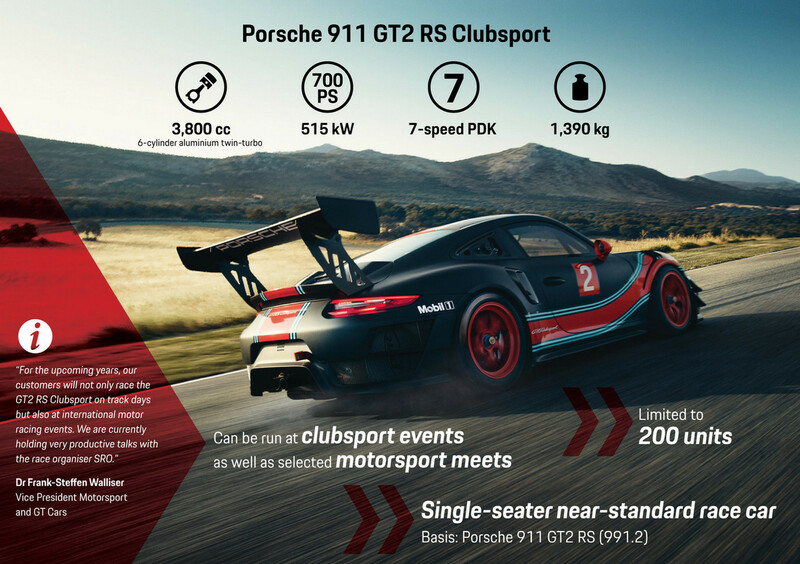 Porsche are offering the Porsche GT 2 RS Clubsport at a price of $478,000 USD, excluding tax, shipping, and import fees. It seems that if you are interested, you should apply by sending an email to [email protected] Deliveries to begin in May 2019.